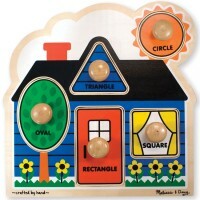 This Melissa & Doug's large wooden knob puzzle features 8 large chunky shapes puzzle pieces presenting basic geometric shapes and colors. 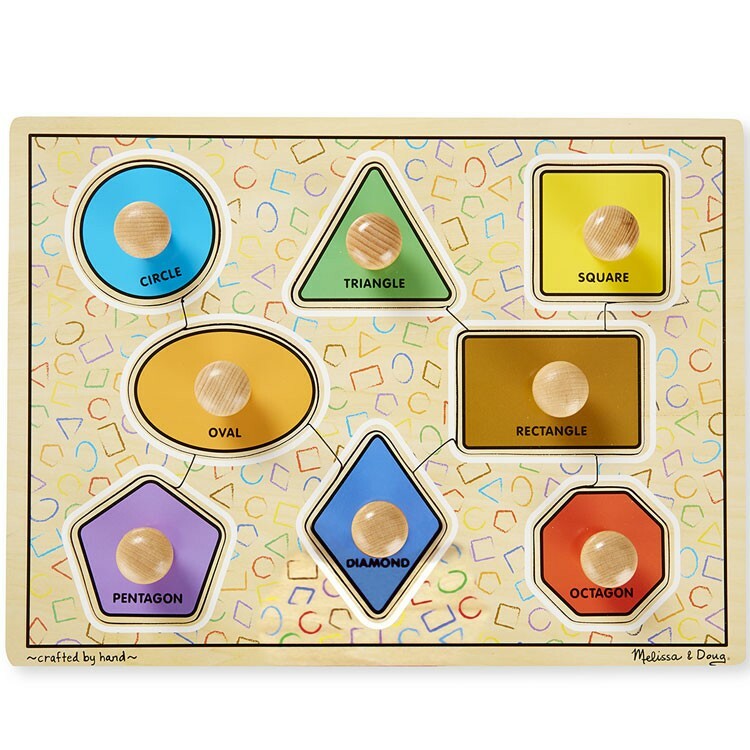 Let's talk about shapes and colors with our new Large Shapes Jumbo Knob Puzzle! 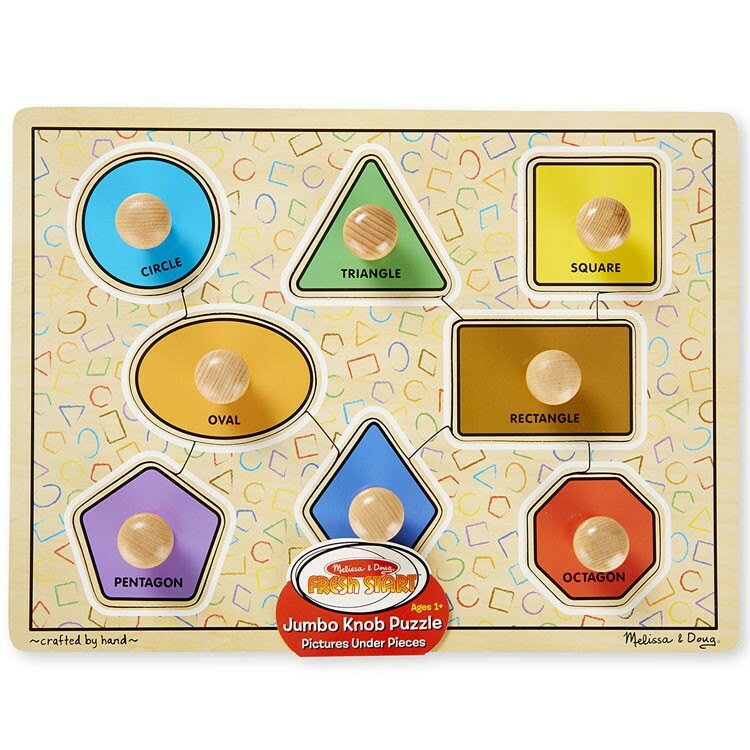 This toddler puzzles comes from the Jumbo Knob Puzzles collection by Melissa & Doug. 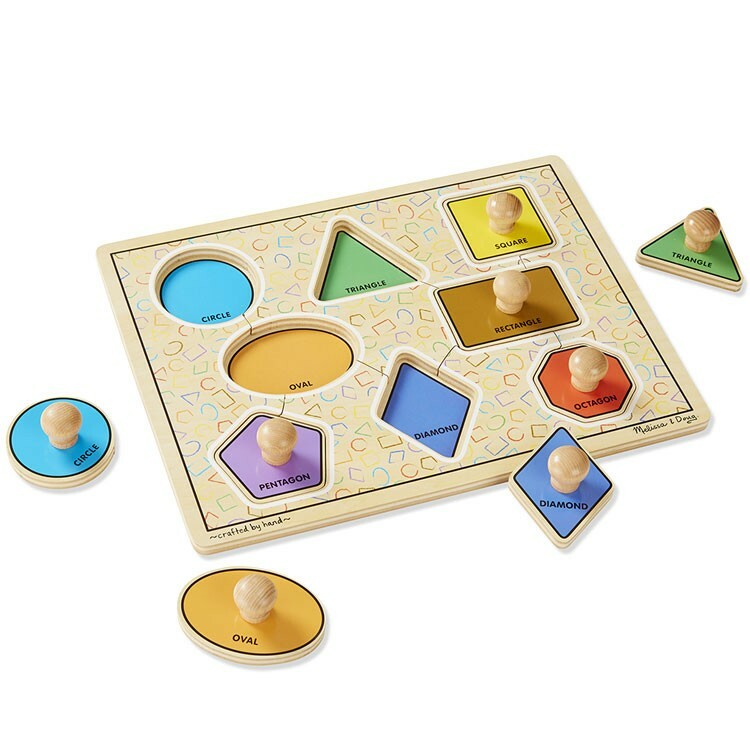 Large Shapes Jumbo Knob Puzzle features 8 large chunky pieces presenting basic geometric shapes and colors. 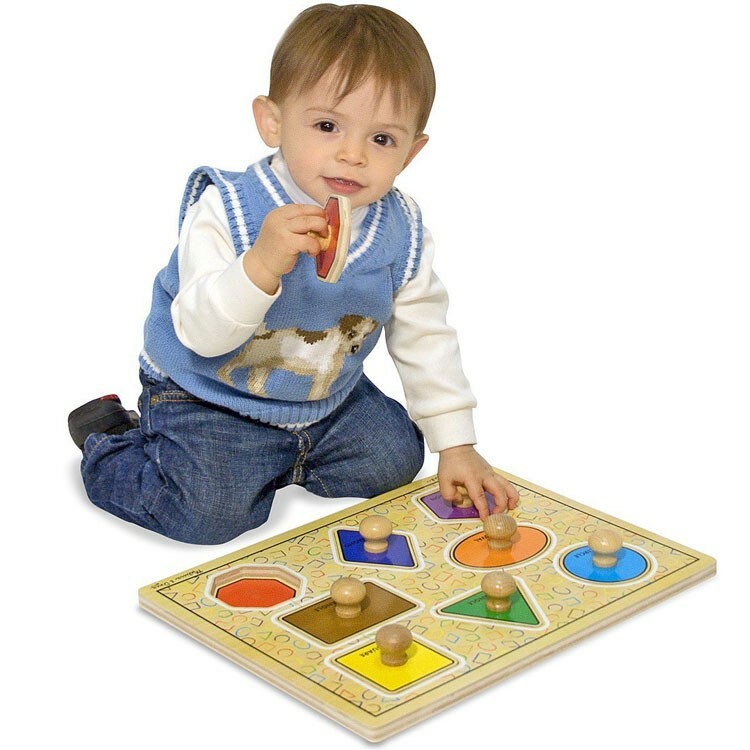 This learning puzzle for toddlers and preschoolers is made of extra thick quality wood. 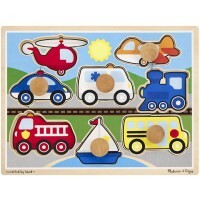 Large Shapes Jumbo Knob Puzzle pieces comes with the large polished wooden knobs, that make this toddler puzzle just perfect for the little hands. 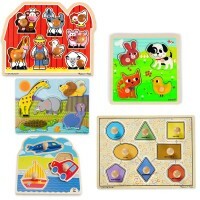 One of Educational Toys Planet's best selling first puzzles, Large Shapes Jumbo Knob Puzzle, will help you to introduce shapes, colors to your child and improve his/her fine motor skills. 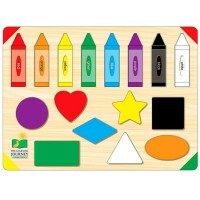 Dimensions of package 12" x 1.8" x 1.8"
Write your own review of Large Shapes Jumbo Knob Puzzle. 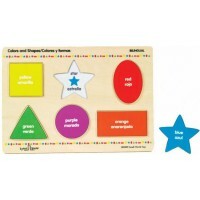 Rating: 5 Classic and educational by Jessica G Melissa and Doug never fails to meet and exceed expectations for toys. 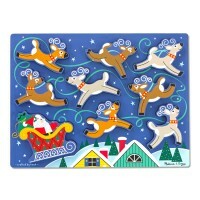 This puzzle is durable, fun and designed for little hands. The knobs make grabbing the pieces easy and the colorful design intrigues and engages young minds. It is also well-made and durable meaning that it can take a beating from your toddler or preschooler and will be in good shape for years to come! Rating: 5 SIMPLE, THE BEST! by grandparent1 I purchased this puzzle for my 14 month old granddaughter. It is not only very well manufactured, but the knobs are large enough for her little hands to grab. 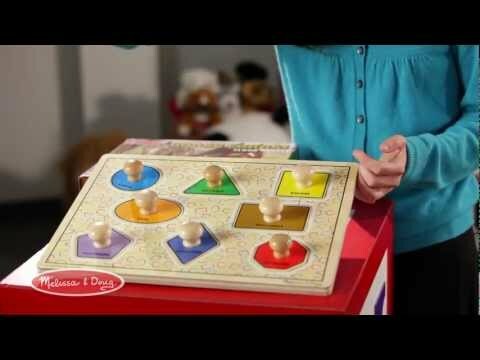 I love the fact that the shapes and colors are large, and it is easy for my granddaughter to pick up the knobs. . I highly recommend this puzzle to parents.